Following this directive, consumers will be able to create a virtual number against their original card numbers. So they will not have to share their actual card details for every transaction. 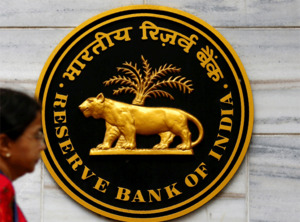 BENGALURU: The Reserve Bank of India’s latest directive on tokenisation services for card payments could open a new frontier for digital payments, expand ease of use and make card payments safer, said industry executives. On Tuesday, the central bank had said that card companies would be allowed to offer tokenisation services to third-party service providers as well and customers can avail themselves of these services by registering through a third-party application. Following this directive, consumers will be able to create a virtual number against their original card numbers. So they will not have to share their actual card details for every transaction. This could make card payments more secure. “Tokenisation is the foundational aspect of taking payment security and safety to the next level by devaluing data and replacing payment credentials with tokens,” said TR Ramachandran, group country manager, India and South Asia, Visa. It could also prevent the “manin-the-middle” kind of frauds where card details are captured in the course of the transaction by a bug or a hacker and later used for fake transactions. Executives said this would be the first step by the central bank in ensuring the safety of card payments. This would pave the way for payments that can originate from wearables as well in the future. For the time being, the RBI has allowed payments only from smartphones and tablets. “We expect this move to increase the share of digital payments in everyday use-cases, like grocery, fuel and transit. It will spur the adoption of newer devices like low cost near-field communication enabled phones and terminals with wearables and other connected devices for payments,” a Mastercard spokesperson said in response to ET’s queries. Tokens have already become a popular mode of online transactions, where consumers mostly save their cards for future transactions, but with this directive it could also help spur QR code-based payments at retail points.